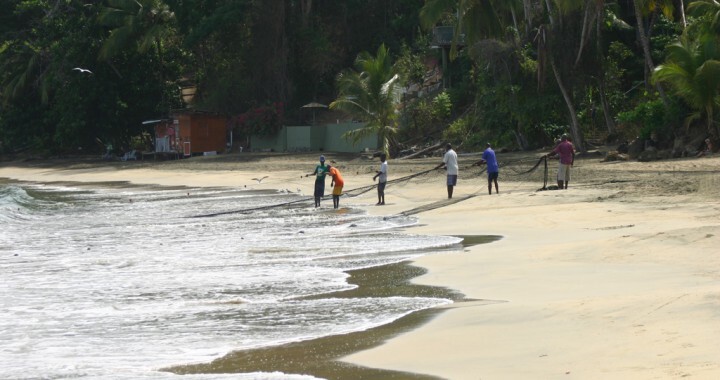 Almost a daily routine for some of the fishermen in Black Rock Tobago is the seine fishing. Early in the morning (around eight) they put out their seine at Black Rock beach. Next to a group of regular fishermen this draws other villagers – or the occasional tourist – out to come and help to pull in the seine. If you are looking for a work-out this is a good one !